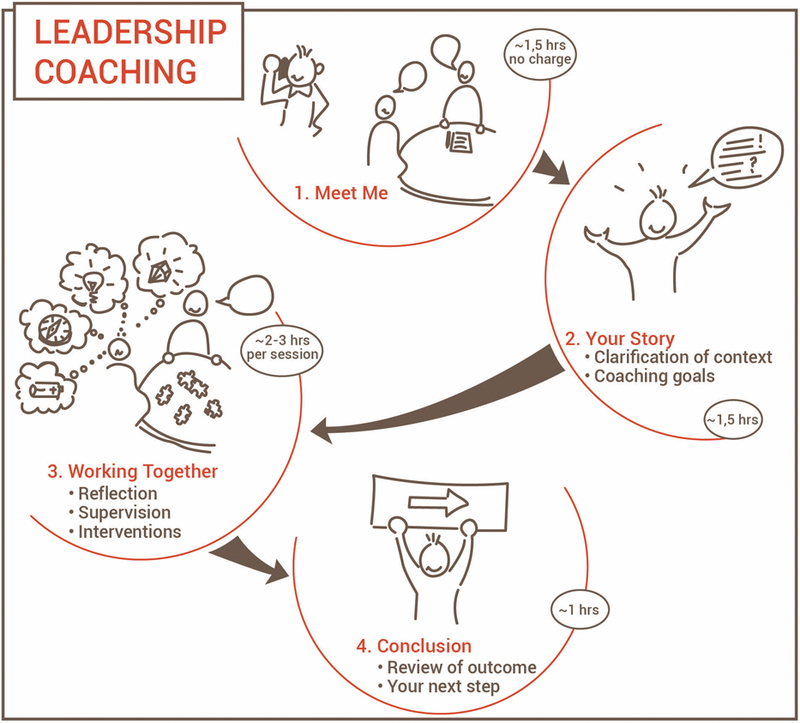 "Coaching to me is a relationship where the client has a desire to change, or aspires to do things differently, and the coach supports the client´s effort to reach that goal." Your issues are diverse and include subjects as crafting an effective negotiation strategy, the recognition and handling of conflict situations as well as long-term strategic matters like a change process within your organization. In our sessions, I challenge and support you to unlock your potential, resulting in positive, measurable change that stands the test of time. A compassionate thought partnership is part of the equation. You meet me as your thought partner in focused dialogues on eye level and learn how to manage around weaknesses yet focus on marshalling your strengths and values. This is where clients feel energized, see the steepest learning curves, and are on top of their game. No one is an island. I ensure that individual behavior is also addressed in the context of the team and the organization as a whole. I work with you in finding out what brings you joy to move, what motivates you, what brings you forward, using your core strengths and remaining optimistic about your future. You look beyond the immediate rewards of “living the good life” to focus on what is most meaningful to you, both professionally and personally. A career transition does not necessarily mean leaving the company—promotions are career transitions as well. The first few months are crucial for your future success in your new role. You have to navigate through the transition yourself. 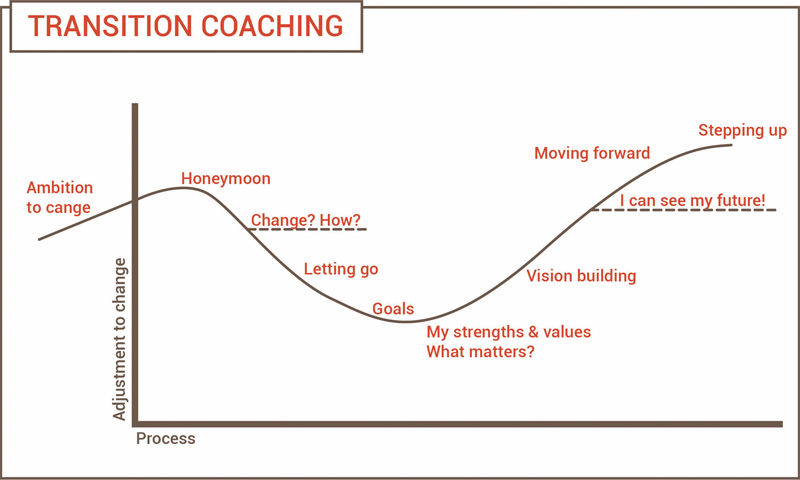 But coaching will help you to adjust faster and enable a successful start in changed circumstances. You need to focus, be “learning agile”, behave differently and not cling to the past. You also need to adapt skills to face new challenges. Each of these requires an adjustment not only in behavior, but also in capabilities, attitudes, and thinking. Our coaching sessions will support you in doing the right steps at the right time. "Teams should be able to focus effectively on the goals ahead. The ultimate aim is a truly high-performing, accountable team - clear about their purpose, strong and collaborative relationships, excellent communication and focused on results. After all, success is a matter of teamwork." Does your team have the eyes on the ball? Is the potential of your team fully tapped? I design and conduct workshops externally or at your office adressing specific needs and interests of leadership and change. I also offer retreats for teams and like-minded people, such as business organizations. Retreats are positive and supportive environments in which like-minded people inspire each other to maximize their leadership potential, their sense of purpose and their life fulfillment.